My local Primark has seriously upped it’s beauty department game. I recently reviewed the PS… Lip Liner collection (available here) and wrote about my love/hate relationship with the store. Unfortunately, I often find their cosmetics stands ill-stocked, covered in grubby makeup smears or the products themselves tampered with in some way due to the lack of testers and flimsy packaging. This is a real shame as it makes the brand look unprofessional and cheap whilst running the risk of putting off potential customers. If this is the case in your local Primark I urge you to look past this and dive in; I was seriously impressed with the quality of their £1 lip liners! 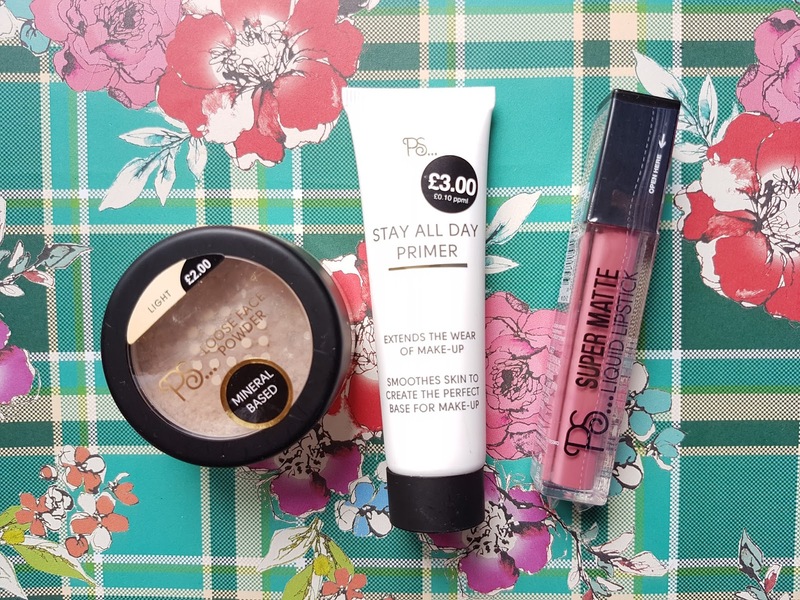 I was so impressed that I just had to try more from the PS… collection and after a little rummage I came across some very interesting products that I can wait to share with you. Let’s start with Primark’s range of makeup tools and applicators. I was really disappointed to find out that my local store doesn’t stock their range of oval blending brushes that I’ve read so much about but I still picked up a few generic brushes to add to my collection. 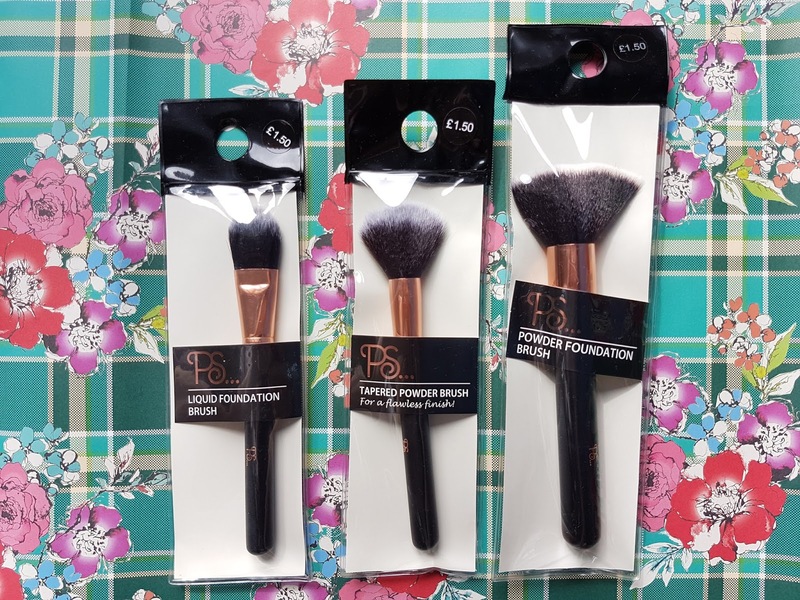 I purchased the Tapered Powder Brush (£1.50), Liquid Foundation Brush (£1.50) and Powder Foundation Brush (£1.50). I also picked up their 2Pk Blender Sponges (£1.50). Fingers crossed they are a Real Techniques Miracle Sponge dupe although I’m not holding my breath, then again, I have been surprised in the past. 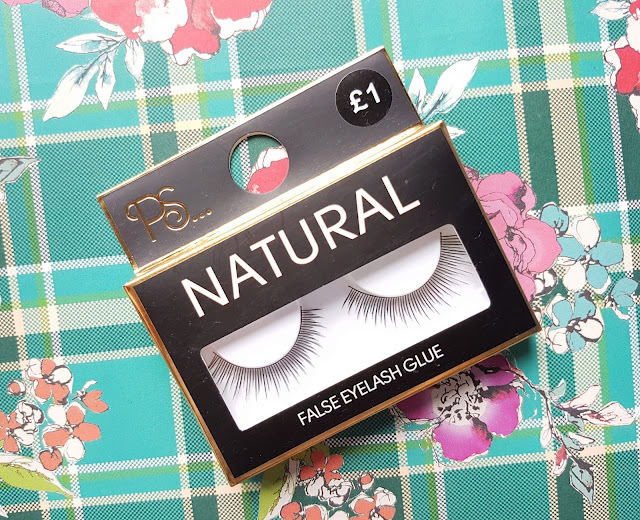 Their accessories collection also includes Double Ended Angled Eyebrow, Smokey, Eye Contour, Precision Eyeliner, Contour and Blush brushes starting from only £1 plus manicure sets and even Eyebrow Shaping Stencils. Now, moving on to the eyes. I really wanted to try their clear brow gel as used by Em at My Pale Skin in her YouTube makeup tutorials but unfortunately my local store didn’t carry it either, however, I did manage to pop their Liquid Eyeliner (£1), Eyeliner Pencil 2Pk (£1), False Eyelashes in Natural (£1) and Volumising Mascara (£1) into my basket. Apparently, the PS… collection also features a tinted brow cream that I’d love to try so I’ll keep my eyes peeled for it next time I’m in store. Once again, the colour correcting crayons I wanted weren’t in stock but I did come away with their Loose Face Powder in Light (£2) and the Stay All Day Primer (£3). Primark also sell a Contour Crayon Set, Face Powder Compact, Concealer Stick and Liquid Foundation that all looked really interesting although they were all far too dark for my pale skin. Finally, I snapped up their Super Matte Liquid Lipstick in 02 (£2). As I’ve mentioned before, I love the packaging of the PS.. collection. I feel like some in-store beauty brands such as ASDA and Next, really missed the boat when it came to designing a sleek, well-thought-out collection. Primark, however, have nailed it. The black matte packaging and gold foil finish is simple yet chic. My Primark products can sit quite happily next to my NARS products on my dressing table, there are no telltale signs that this is a budget collection. I am also really impressed with the sheer amount of products available (well, when they are in stock that is). The PS… collection is clearly doing it’s best to stay in touch with current beauty trends which I appreciate, I just hope I fall in love with my buys as much as I did their lip liners. I can’t wait to start using all my beauty finds. Stay tuned for upcoming swatches and reviews! What do you think of your local Primark’s beauty department? 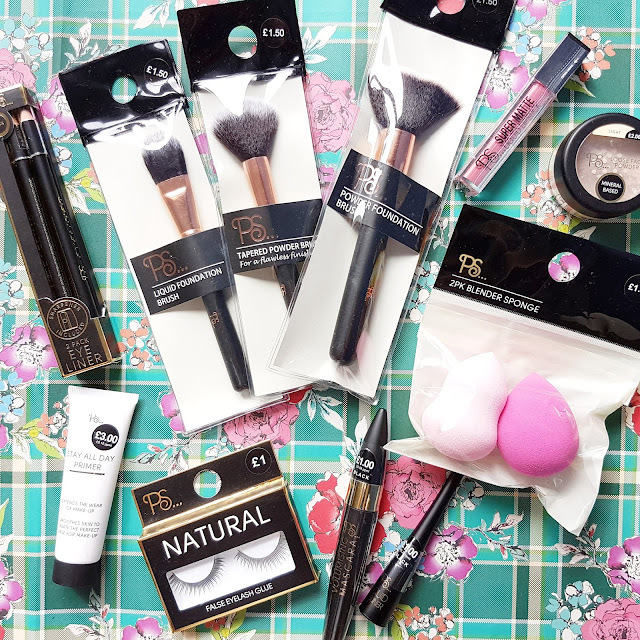 Have you tried any products from the PS… collection? Do you have any favourite or disappointing products you’d like to share? "August’s Natural Skincare & Beauty Wishlist with Naturisimo"